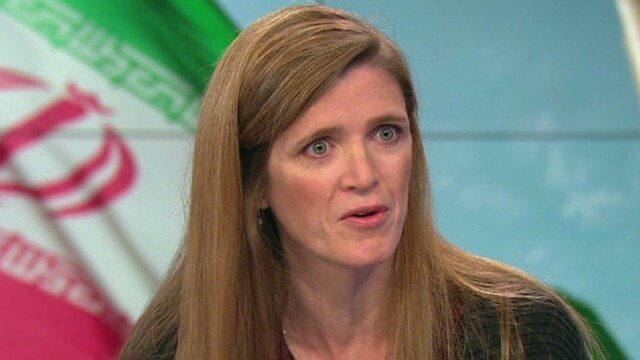 On “New Day” this morning, United States Ambassador to the United Nations Samantha Power opened up about negotiations with Iran, defending the United States’ engagement, while denouncing the Iranian Supreme Leader Ayatollah Ali Khamenei’s comments about Israel as “abhorrent.” Ambassador Power said that we have to give something to get something, in regards to giving “modest relief.” Later in the interview, she advocated for Senate ratification of U.N. Disabilities Treaty, which she said “raises the standards” for people living outside the United States. “New Day” airs weekday mornings from 6-9 a.m. ET on CNN.